I’m sure I’ve never mentioned that I used to help in a Montessori preschool before my public school teaching days. 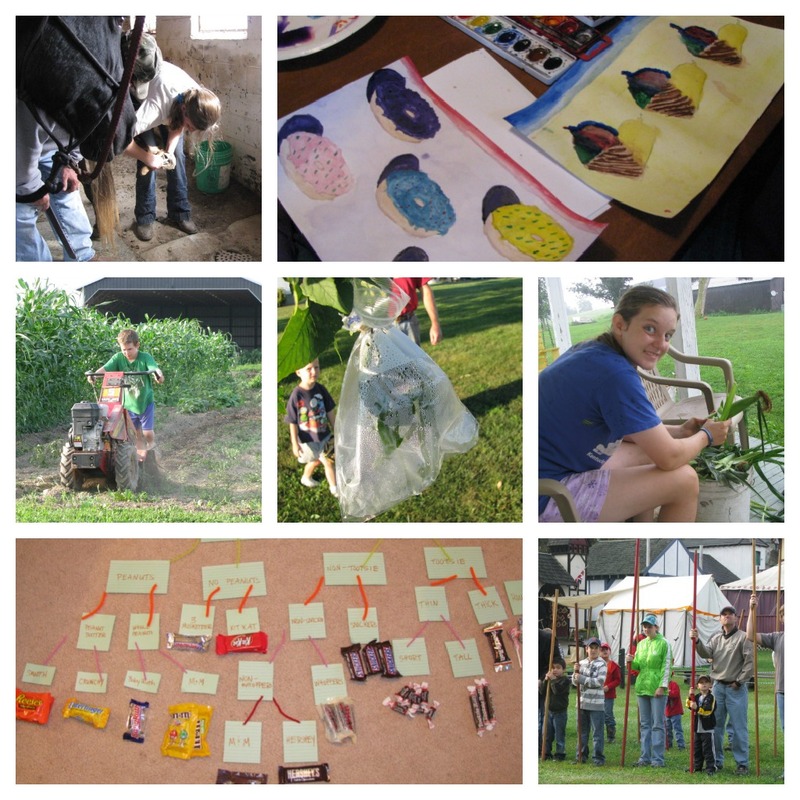 Some of the things I learned during that time impressed me so much that I’ve carried them into teaching my own children. Sounds a little like Charlotte Mason style learning, huh? I’m sure that’s why these aspects draw me in! 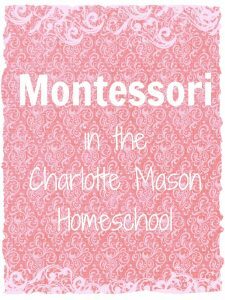 Before you jump into my methods of adding a little Montessori flair to our eclectically Charlotte Mason style, you need to know that I’m not a Montessori expert! It’s quite likely that some of our methods don’t quite jive with the “real” philosophy of Maria Montessori. They also don’t jive completely with a “pure” Charlotte Mason philosophy. That’s okay with me because it works for us. 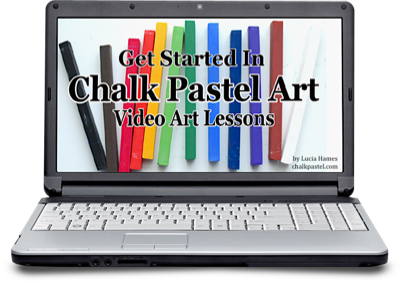 I hope, either way, you’ll find some practical ideas for your homeschool. I have always tried to offer my children “real” things to do. Busy work is a waste of time. The term “busy work “is a little hard to define for preschoolers because so much of what they do IS teaching them important skills or helping them understand their world. 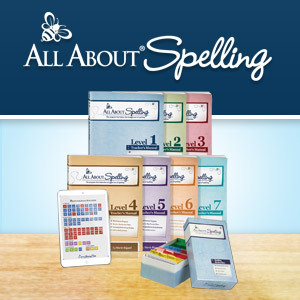 As an example, though, rather than providing worksheet after worksheet for five-year-old math, we spend much more time counting the flowers we’ve just picked or adding up how many rows of corn and beans we’ve just watered or looking at a real clock to see how much time is left before bed. Preschoolers need much supervision and help with many things, but you might be surprised at how many things they can do independently after instruction. When giving them tasks, EXPECT them to do the tasks well. Time dedicated to teaching skills, along with high expectations (not perfectionism), go a long way in producing capable, independent children. Think in terms of daily chores that need to be done around the house and allow your little ones to take part as fully as possible. Do bananas need to be cut up for fruit salad? Give your preschooler a butter knife, a cutting board and a banana. Do plants need to be watered? Give your child a small watering can and access to water. Do windows need to be cleaned? Give your child a bottle of non-toxic cleaner and a cloth to clean the areas he can reach. Does laundry need to be folded? Your preschooler can help with the small towels. These include just about anything that gets hands, noses, mouths, ears and/or eyes actively involved. Through sensory activities, children learn concretely about their world and begin to make connections about everything from sizes and weights to shapes and textures. 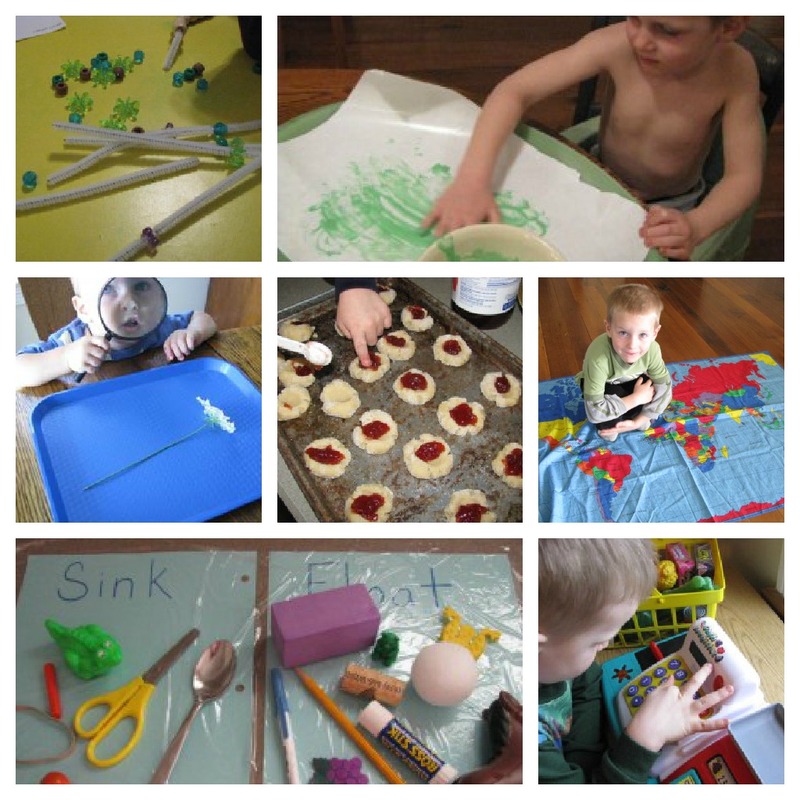 Some examples of sensory activities include sensory bins, play dough, pouring with measuring cups, discerning smells or tastes, and matching various fabric textures. You don’t have to spend a lot of money, but it’s definitely nice to have a household supply of living literature, science and history biographies, nature guides and books, experiment books, science equipment, maps and atlases, and art supplies. Start collecting such things at yard sales, curriculum sales, Goodwill stores – wherever you can find them cheap and sometimes free! In young children, thinking logically is trained through such things as completing the steps of various chores or tasks, making choices and facing their consequences, ordering and classifying materials, and following directions. 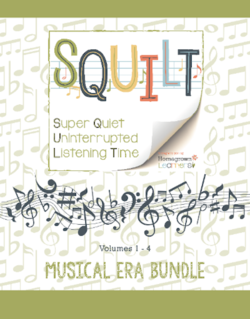 There are several fun early logic books and games available that build logic skills in fun ways! If you like the idea of adding more logic and math outside the textbook, you might be interested in my living math how-to ebook. Just as Charlotte Mason touted the importance of building strong habits, so did Maria Montessori. You can read more habit training in a previous article from my Charlotte Mason series. Good books, a supply of fun and educational materials, and your enthusiastic attitude toward learning are three key ingredients for promoting a love for learning in your children. I try to join in on the fun whenever possible, too. My participation seems to spark everyone’s excitement. As I said before, busy work is a waste of time. As much as possible (because it isn’t always possible), we do work that has real meaning and purpose. 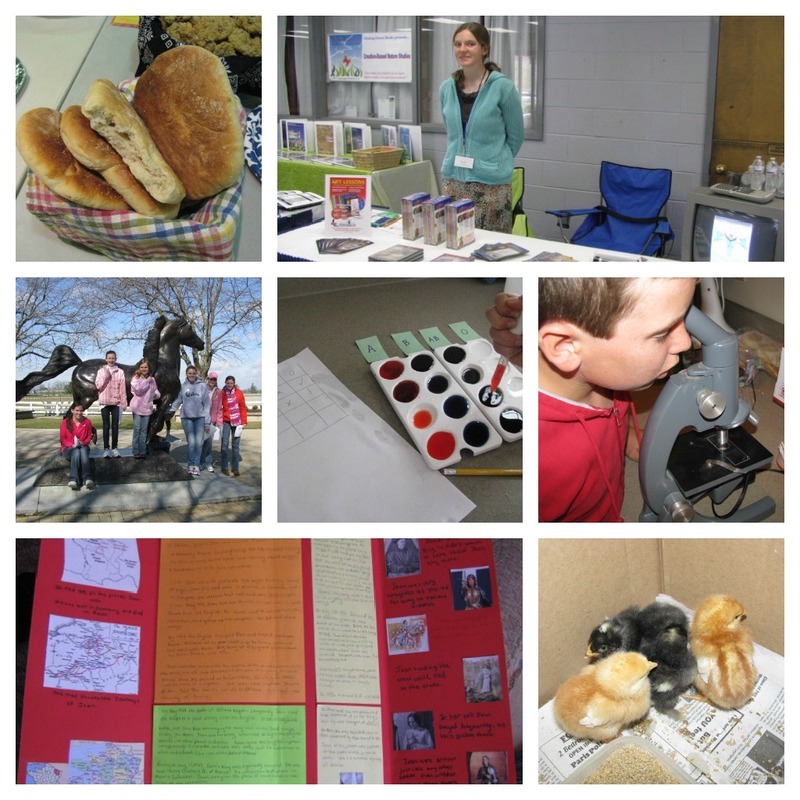 Examples of this would be reading books about chickens and coop building in order to care for our chickens well; studying blood typing and doing experiments after a family member needed an emergency blood transfusion; researching and writing history reports before or after an historical field trip to dive deeper into the subject; and experimenting on the health of our creek or pond after noticing some dead fish. One of my main goals in homeschooling my children is to raise capable, smart children soaked in the Truth who can go out into the world and follow God’s will wherever He leads them. Because of this vision, I start early promoting independence – in school work, in chores, in projects…in everything. As I mentioned above, careful beginning instruction and high expectations (not perfection) are important factors in developing independent children. Because of the independence focus above, we are big believers in allowing our children to take part in each and every “real” thing that goes on around our house. You’ll find our children involved in the kitchen, in the garden, on the farm, in household projects, in our home business and more! Of course, this is a Charlotte Mason practice, too, which you can read more about here. 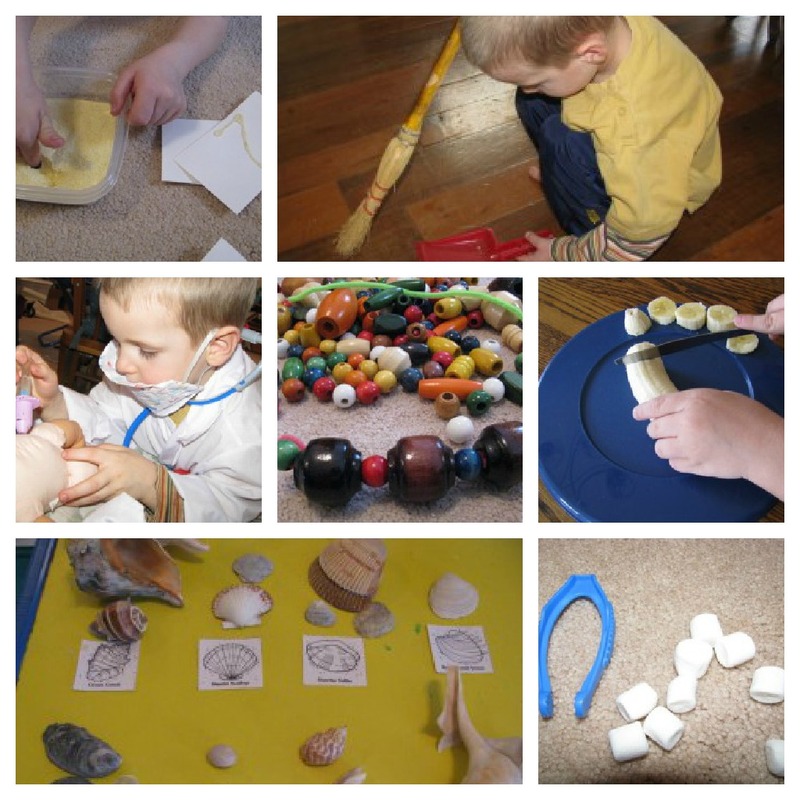 Honestly, I’m not sure if sensory lessons in the Montessori style go beyond the early years, but we continue hands-on activities as long as the children show need or interest. Just like I mentioned above, our house is full of living literature, science and history biographies, nature guides and books, experiment books, science equipment, maps and atlases, and art supplies. I think it’s fitting to mention taking time out for quality field trips often, too. Mathematical and formal logic are both near and dear to our homeschool. Raising kids who can think critically and reason with the best of them are top priorities as we consider sending our children out into this crazy world. 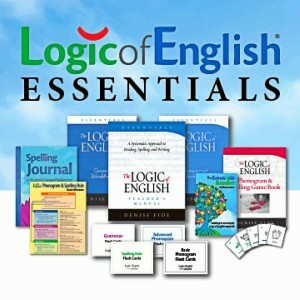 Read about our logic adventures and some of the materials we use to promote logic. I call our research-based learning “project-based” learning. Under either title, the basis is the same – reading books, searching the web, and/or interviewing people to learn more about a subject. I take the research a step further and expect my children to complete a project to “show what they know”. Since Montessori education is unforced, my assignments (although allowing for many student choices) would be frowned upon. For that matter, project-based learning is not really an aspect of Charlotte Mason philosophy either. But, again, it works for us! 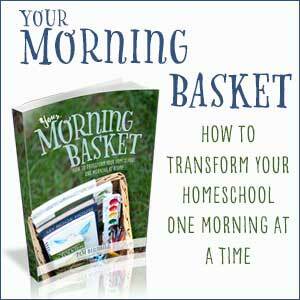 Habit training remains utterly important in our homeschool no matter how old our children get. One new focus we add in as they mature is regular involvement in service projects. Golly, just about everything we do works to promote a love for learning. 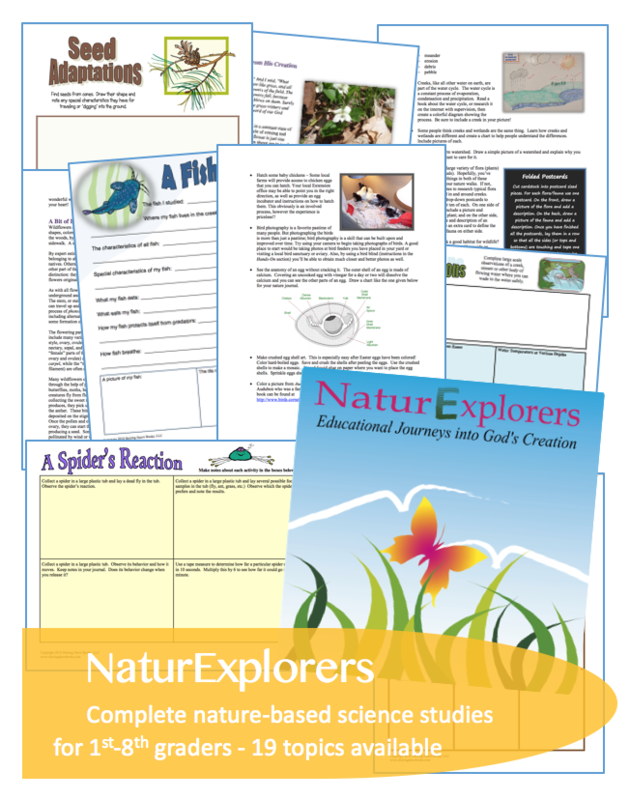 Of course we do workbook pages and textbook assignments, but try to keep the lessons concise so we have time to jump into our passions and the “extra stuff” like nature study, art, field trips, and so much more. Character education – although I have to mention that many true Montessori schools often focus on more worldly forms of character development as opposed to Christian-based character. Don’t throw tomatoes at me. I know I’m painting with a broad brush. Just for the record, what do I not like about Montessori-style education? “Teach by teaching, not correcting.” – Sometimes it’s just easier to tell a person they got it wrong. The world will definitely tell our children that many times over, they might as well get used to it through the gentle, loving methods of a parent first. Montessori philosophy doesn’t advocated the use of television or computers. While I agree that many homes allow way too much use of electronics, I also see the benefits of both educationally and technologically. I guess you can truly call me eclectic, can’t you? 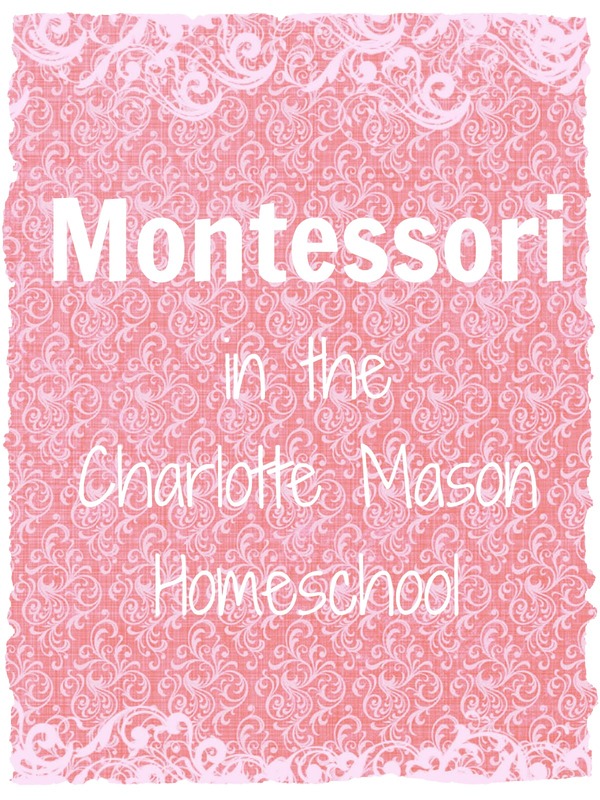 Charlotte Mason style with a flair for Montessori, Classical, Unit Study…and probably more! Awesome post! You pretty well sum up what I teach in my preschool workshop I give at homeschool conferences. I wish you lived close enough to do co-ops with me! I’m concerned by your ‘dislikes’ of Montessori. It seems to me that your experiences with Montessori may not have been authentic as all the children I know that come from Montessori are in no way self centred in the way you described (perhaps they were given too much freedom in the environment, perhaps it is the parenting style at home). As for not correcting, it’s not that we don’t correct but rather encourage the child to find the mistake themselves, especially at the elementary level, through suggestion e.g. “Perhaps you should reread that sentence and make sure there are no mistakes” and if they do not discover the error then discuss what the problem may be if appropriate. We do advocate computer use, as Montessori is all about practical life and preparation for the wider world. It is just that you may not find 30 computers in the classroom, but rather one or two. This is because firstly not all children are doing the same work at the same time, secondly it instills grace and courtesy and the virtue of patience. A computer is a tool. You will not find one in a 3-6 class though, and considering all the research on screens and brain development this is with good reason. I recommend reading ‘The Montessori Way’ which busts these myths and more. Lolly, thank you so much for your comment. I’m so glad to hear that your experiences with Montessori learning resolve each of my issues. I certainly hope my experiences are not the norm! I’m so glad I found your blog! 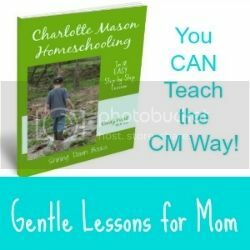 I’m planning to homeschool CM style but want to incorporate Montessri methods as well. I’ve been disappointed that much of the info available on the two educators focuses on contrasting their difference (usually in a competitive either/or way), ignoring their many similarities! Thank you for writing about this! You are very welcome, Emily! Cindy, this post is old but so timely in my life. It’s not that I was looking for Montessori specifically. I’ve attempted to become more of a “pure” CM educator to my children and I honestly struggle with it. I’m currently reading ch 7 of CM vol 6 and truly struggling with it. There is a battle within me and on one side I here the “purist” CM camp and on the other I hear, “using CM in a way that works for our family”. I cannot put into words the struggles I’ve had. Reading ch 7 right now (and almost feeling an arrogance in the writing…that is going to make people not happy with me) and then reading your post about not being a purist but making it work for your family is truly a blessing at this moment. 1. Tweaking things to meet the needs of my children (and myself) has ALWAYS been the right answer. 2. Learning philosophies are often way more similar than different, so styles definitely overlap and the lines easily blur from one to another. Best wishes honing in on the perfect way to implement the CM style for your family! I’d love to hear more of your thoughts as you work out the answers!